This Bible teaching about category gives you additional details about the ebook contents Esmie and I offer. The ebook store lists all the ebooks, but here you can find out before you buy whether the information you are looking for is in the ebook. We want you to have what you need for your own personal and spiritual development and ministry. Again, we genuinely desire for you to have top quality service, exceptional information, and excellent products that will greatly enhance your success in all that you do. That is our goal – to the glory of God. 1. Browse through the ebooks below and select that ones you want to purchase. 2. If just want to buy just one, Click Buy Now, which will take you to PayPal. 3. If you already have a Paypal account, just log in by typing your email and password on the appropriate box, and follow the prompts to make the payment. If you do not have a Paypal account, you may select the Use Credit or Debit card option. On the checkout page, check the amount and the number of ebooks indicated to make sure you are not ordering and paying for more than what you want! 4. Once you made your payment, make sure you hit the DOWNLOAD button to download the material onto your hard drive. You need an ADOBE READER to open the ebooks. For the free download, go to http://www.adobe.com. 5. If you want to purchase more than one ebook click on Add to Cart. It will take you to PayPay Shopping Cart where you can decide to either to Continue to Shopping or Proceed to CheckOut. Once you are done with your selection, follow the same steps indicated above. 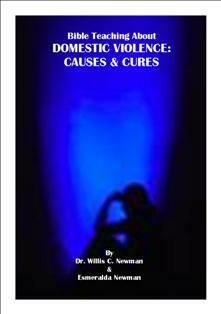 Simply click on the title of the paperback copy you want to purchase.